Purchase a new car and one of your first considerations should be the warranty/service plan and adding a front line maintenance plan. Yes you will pay an additional amount; this is maintenance risk mitigation. It covers your vehicle for those run of the mill maintenance replacements such as filters, oil and liquids, spark plugs, brake pads, etc. to keep the car running optimally over the duration of the agreement. However, the plans do not allow your car to improve its performance from when you purchased it, also some of the horse power will be lost over the period as items wear and start degrading. This is simply a Service Level Agreement (SLA) with the Seller that they will supply a list of parts and services during the period of the contract, normally 3-5 years or for a prescribed mileage. The difference being that the agreement is there to keep your car running as intended and not provide an upgrade that might change fuel injection to a turbo. Did you decline a maintenance plan (SLA) and then have some serious maintenance issues that cost you during the first five years? What about purchasing a new Security System for the business or home; were you offered a front line maintenance plan (SLA)? 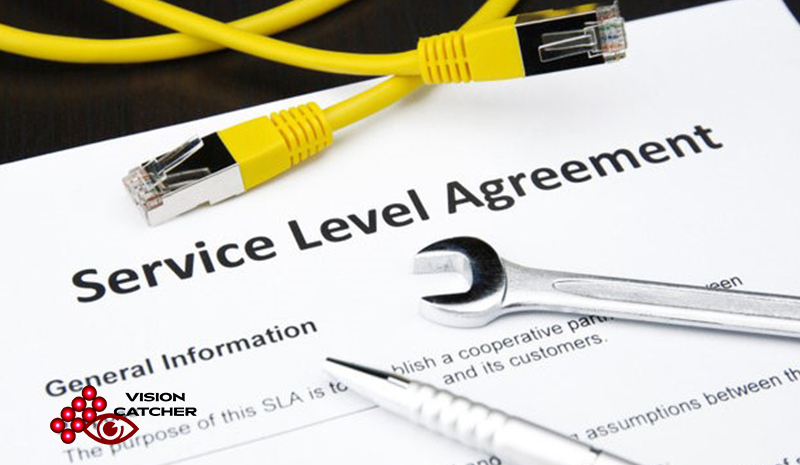 In South Africa many installers and suppliers often decide not to offer you a SLA for fear of over pricing and your rejection because of the additional cost. In recent times almost 90% of end users have declined some form of SLA! Despite the fact that although manufacturers may state a three or five year warranty the local distributor may only provide a six month or one year warranty. Additionally this may require returning the camera in its original packaging and a 10% handling fee; ask to read the fine print of the terms and conditions. When you start thinking of buying a new car your first thought is probably what can I afford? You consider the capital cost of the vehicle and then assess the monthly repayment to see if it fits within your monthly budget. You now go out and investigate those vehicles within your budget looking at the features and accessories including a suitable SLA (Maintenance plan). At what point have you started looking for the cheapest vehicle on the market such as a Chery QQ3 TE at R99k, A Datsun Go or even a Tata Indica? The answer is you probably haven’t; you have looked for a vehicle that looks “Cool”, has some great features, similar to what your friends are driving and fits your budget. More than likely your budget will have included the SLA or maintenance plan, so you can enjoy your drive and know that it is covered and looked after for the next 3-5 years. What is the difference in planning for your new vehicle and planning for a new Security system? A Security system in your home or business is almost more important than the vehicle you have recently bought. Your house is probably the most expensive item you will ever purchase. You need to provide the best security protection you can for your house. Especially within the current environment in South Africa and the likelihood that this may get worse before there are any signs of improvement. You will expect the security system to work and for a reasonable period of time, perhaps 3-5 years? Many cheaper solutions sold are often out of date within a year, with newer models replacing them as analytics and compression developments improve. The firmware updates are often not applicable for your now older camera and the new cameras do not backdate to the older software version on the Network Video Recorder (NVR); they are equally as incompatible. Some sales people will say the cameras are so cheap you can just buy a new one, but surely there are better options? Some of the cheaper solutions on the market are sold with the headline – “No Licence Fees”, but what does this mean? A software developer will have written code to be able to combine a camera with firmware (software to run the camera) that sends video footage to the NVR. The NVR will then be able to interpret the video footage through programmable software on the NVR and provide a means of instructing as to how the footage is dealt with. The cost of this “licenced software” must then be factored into the price of the camera and NVR. A few months later you decide you want to add another camera with some interesting new features however the firmware of the camera is incompatible with the NVR you originally bought. Your salesperson will tell you that they have software upgrades, but these upgrades require technical knowledge and very often are never made available. Before purchasing the cheaper system check out your options, there are choices for you to make. Paying for a licence fee has one immediate benefit; there are terms and conditions that tell you what your licence fee provides together with regular software updates – a Software Subscription Agreement (SSA). The SSA is often automatic and can happen without any initiation keeping your security solution up to date with current developments, all to your gain. Mechanically the Server components may start to degrade, the Hard Drives will start wearing down, but the RAM can be added to, and then the Windows or Linux Operating Systems updates will also improve the performance to a better state than when you first purchased the Server. Now add the quarterly SSA updates and each new software release will give you additional features and benefits. Compression improvements, updated user interfaces, improved integrations including new camera models, new camera manufacturers, updates on older cameras in line with their firmware updates, finally security and cyber security options. Where do you get these added benefits within your car purchase and service/maintenance agreements? The SSA Licence is an efficient and effective necessity for your software and hardware relationship that you should purchase with every Security agreement you sign. All whilst the other elements of your installation such as cabling, housings, brackets, UPS and other devices should already be covered within the SLA. 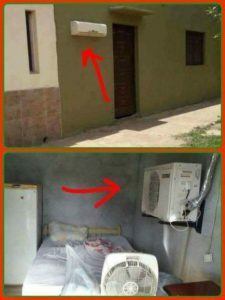 Now you have peace of mind that your system is properly covered for the next 3-5 years, do you get that guarantee with a cheaper system? 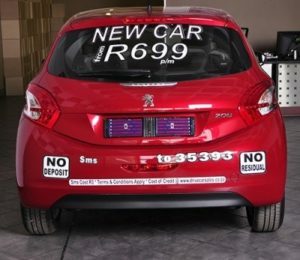 There are plenty of cheap solutions available in the local South African market, similar to the Chery, Datsun and Tata vehicles. They work quite well, they have some fancy features, they record to cheaper NVRs and offer off site remote viewing in the Cloud and on mobile apps. They declare there are no “licence fees”, but of course you still need to pay for the camera and NVR box that both include some sort of software! At the recent Residential Estate Security Conference in Johannesburg a speaker was quite outspoken about his preferences for the Branded Security Solutions he believes should be used. He manages a large estate therefore many of the products chosen were best of breed products and not cheap. He went on to state that any Security system should be a one off purchase with NO LICENCE FEES! This is puzzling as he is actively encouraging you to refuse to pay for Licence Fees. When confronted about the SSA that must surely be applicable and indeed does exist for the system he purchased, he commented that the only monthly fee he pays is for the SLA. Well there you go, he doesn’t pay for any licence fees but he does pay for the Service Level Agreement which does contain an element for the SSA; also more popularly known as a licence fee. Problem solved and perhaps we can encourage him to state the obvious when he next presents? 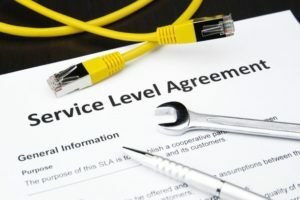 We hope this will give you more clarity on what you need to look for when considering SSA and SLA agreements? This will provide you with the assurance that your security solution will work properly for a fair and reasonable period of time including the software upgrades and improvements. In the case of the gentleman above this has been over a twelve year period knowing that someone is always at hand to assist with regular maintenance and quarterly software upgrades keeping up with the new developments. Are you still driving that same vehicle you purchased in 2006 with all of its now out-dated features? Vision Catcher is a Risk Inspired Solutions and Risk Inspired Coach to enable you to find key solutions that will mitigate risk to protect your children, family, property or business within the IT, Cyber and Physical Security space.